Media on the 'Loin: "Gross, but Historic(ally Gross)!" 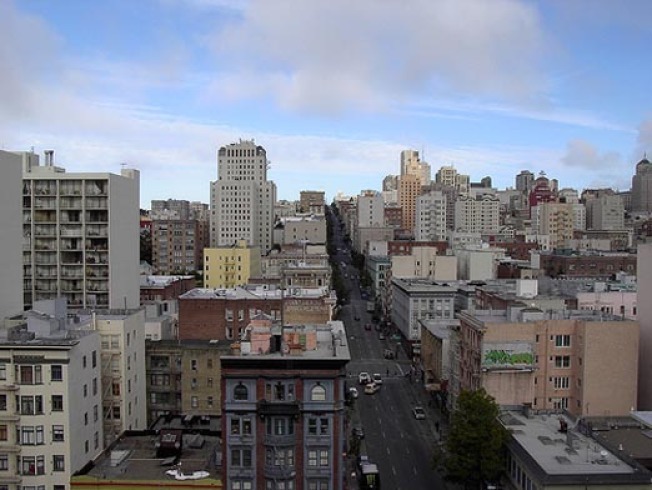 Now that the Upper Tenderloin Historic District is nigh, the media is taking notice -- and they're a little confused. This place? Really? Historic? But it's so... so... dirty!! The 'Loin has a rich history, but does it have a rich future? Between the area's planned Tenderloin Historic Museum and the Hibernia Bank purchase, it seems someone (besides the federal government) thinks the T-loin is a good place to sink some cash, even in this market. With its proximity to Union Square and Nob Hill, combined with more and more hipsters and less and less Mission real estate, the T-loin seems like an obvious contender for full-on gentrification: it already has the art galleries, the pricey eateries and the top-shelf medical marijuana dispensaries. Now what to do with all of those families and children?